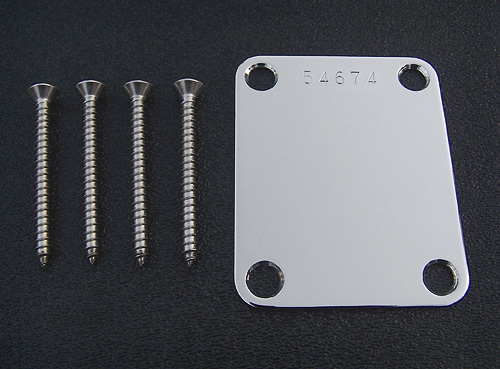 Custom serial numbered 4-screw Strat® neck plate. Chrome plated finish. Includes stainless steel neck mounting screws. Serial numbers cannot be selected, they are already numbered as we receive them from our supplier. Made in Japan. 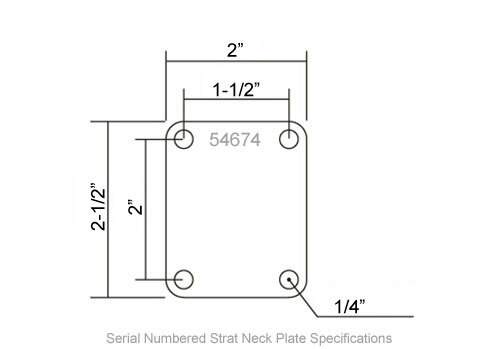 Mounting Hole Spacing: 1-1/2" x 2"